I was really satisfied with the service. They also kept the site safe, neat, and tidy. I liked the workmanship and professional conduct. They do good work, the owner is very knowledgeable and he is willing to work with you to get the result you want. The owner arrived to deliver the quote on time and the crew also showed up to do the work when expected. That's really all I can ask for. They are a really professional group of people and they do good work. They were prompt and on time. Simon was great and easy to talk to. They were a well rounded group of people to work with. 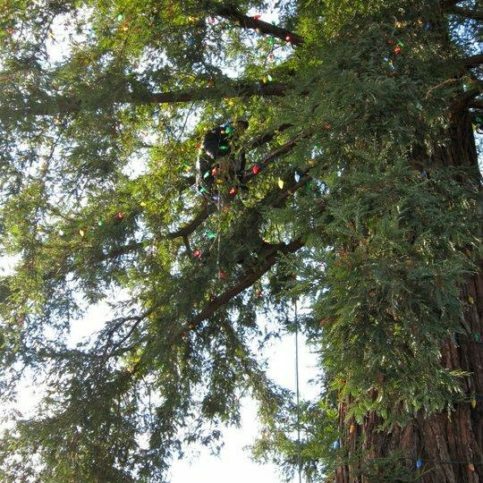 West Valley Arborists, Inc. is an urban tree care specialist that serves corporate, commercial and residential clients in Santa Clara County. 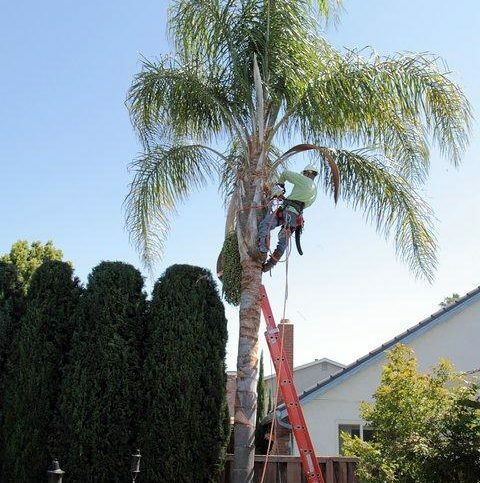 Its many tree services include arborist reports, fine pruning and shaping, tree and stump removal, planting, fertilization, cabling and bracing, and consultation. The company also offers 24-hour emergency response for its customers’ convenience. 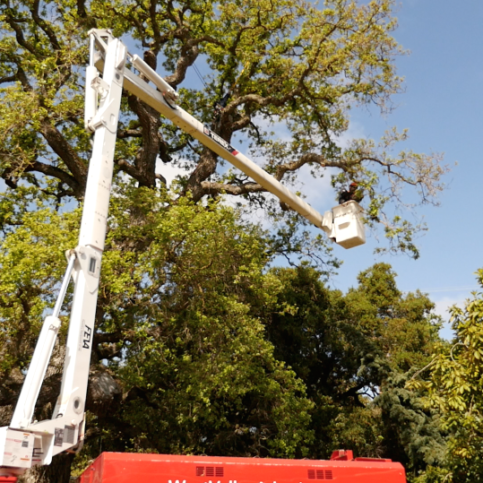 Owner Simon Tunnicliffe has been involved in the arboriculture industry for more than 28 years, starting in his native England and working with influential companies in France, Germany, and Australia. 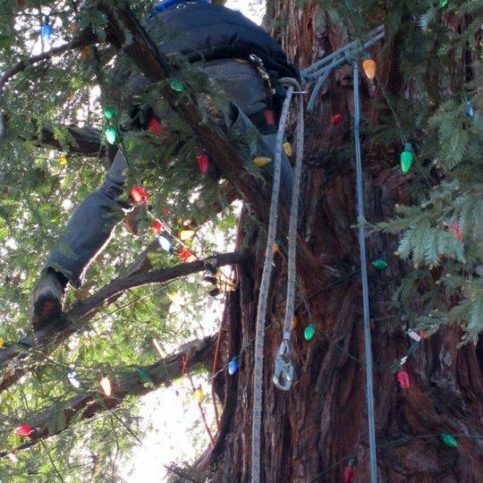 “I began as a groundsman,” he says, “then worked my way to becoming a specialized climber, foreman, and operations and sales manager.” Simon moved to the United States in 1994 and founded West Valley Arborists in 2005. 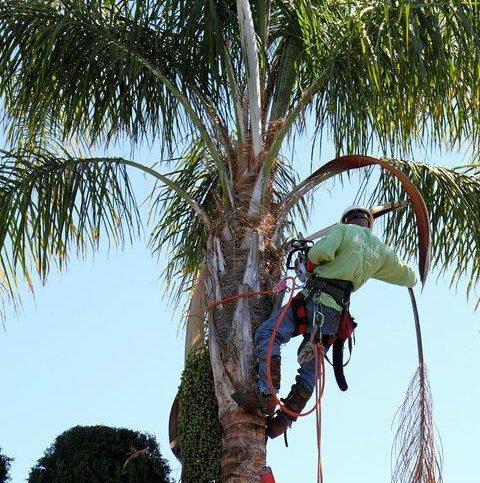 West Valley Arborists operates under industry-best standards set forth by the Tree Care Industry Association (TCIA) and International Society of Arboriculture (ISA). 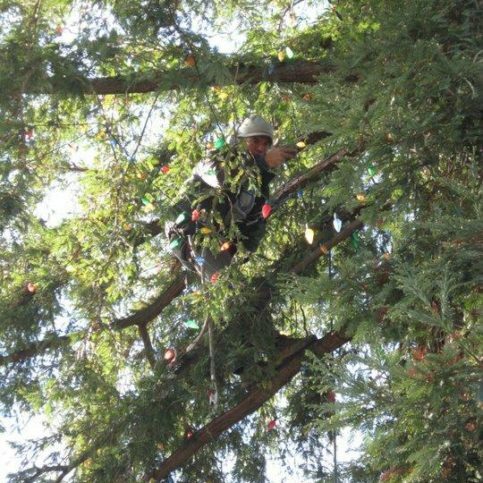 The company also specializes in removing overgrown or hazardous trees in difficult locations. 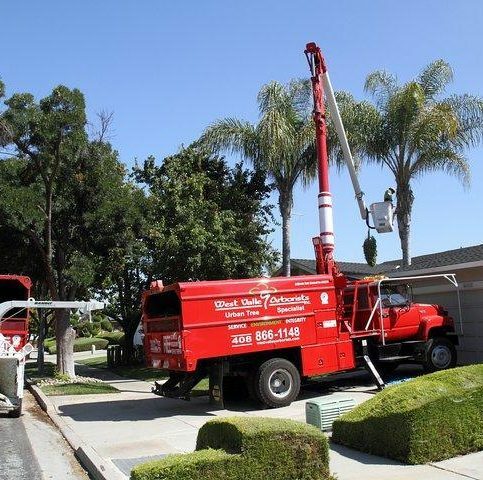 DIAMOND CERTIFIED RESEARCHED CAPABILITIES ON West Valley Arborists, Inc.
Company Name: West Valley Arborists, Inc.
DIAMOND CERTIFIED RESEARCHED ARTICLES ON West Valley Arborists, Inc.
A West Valley Arborists technician works on a customer’s tree from an aerial lift. 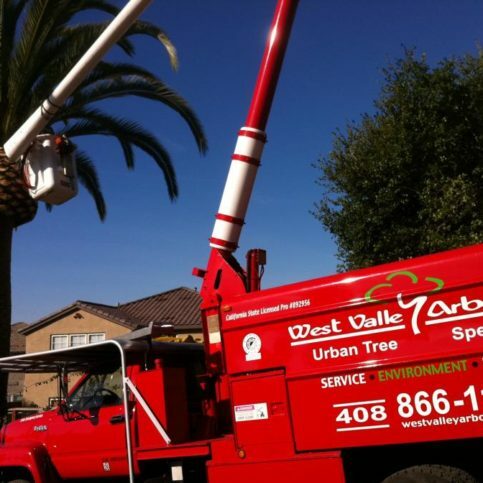 West Valley Arborists has been providing urban tree care services for corporate, commercial and residential clients throughout Santa Clara County since 2005. 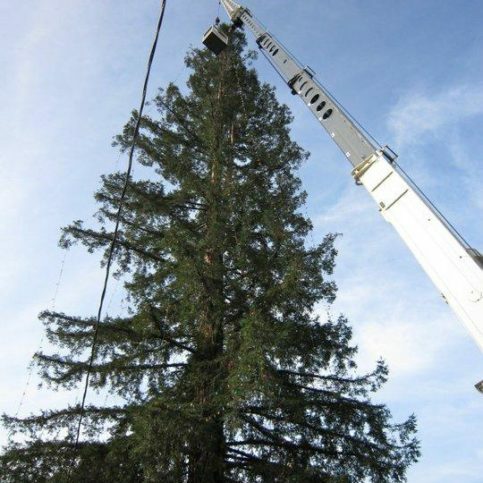 In addition to pruning, stump removal and planting, the company offers detailed arborist reports, cabling and bracing, 24-hour emergency response services, and more. 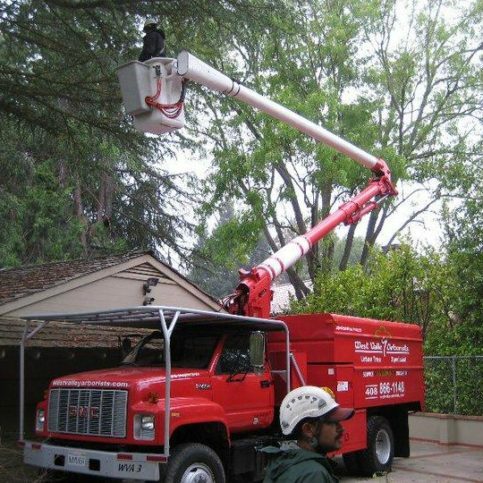 It also specializes in removing overgrown or hazardous trees in difficult locations. It’s also important to understand the difference between a landscaping company and an arborist. Landscaping companies deal with shrubbery, small plants, hardscapes and irrigation, while arborists are specifically trained to care for trees. Different trees respond in different ways to their environment, and arborists have the in-depth knowledge to prune them correctly and safely. In fact, most reputable landscaping companies will call upon arborists to care for customers’ trees instead of trying to perform the work themselves. Q: How soon can you start my tree project? A: For routine work like pruning, we’re usually booked three to four weeks in advance. We can usually send someone to your property to provide an estimate in two to four days, and our crew will be able to start work a few weeks after that. We understand that waiting can be inconvenient, but we believe our backlog of work proves the worth of our services. Q: Will you keep my worksite clean? A: Yes. Tree service can be messy, especially when it comes to producing wood chips, but we’re a full-service company, which means we’ll leave your property cleaner than when we arrived. Q: Do you offer 24/7 emergency services? A: Yes. If a tree falls and hits your home or blocks your driveway, for example, we’ll be there in a few hours to take care of the situation. Q: Do your workers speak English? Q: Do you perform pesticide work? A: No. We actually don’t like pesticides because they’re generally overused on trees. The best way to control pests is to properly prune and apply the right nutrients. 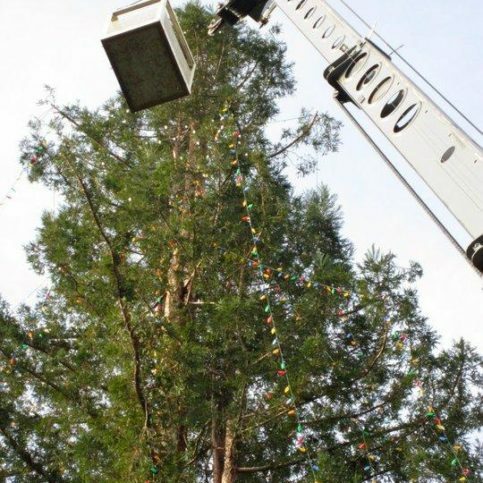 Q: Are unlicensed tree service companies a problem? A: Yes. A lot of companies advertise tree services but aren’t certified arborists, and some aren’t even licensed. 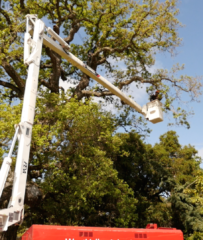 Tree work can be very dangerous, so if a company or individual doesn’t have the proper insurance, you’ll be responsible for any damages or injuries caused on the job. SELECTED PHOTOS FROM West Valley Arborists, Inc.
Simon Tunnicliffe is a 29-year veteran of the tree service industry and owner of West Valley Arborists, Inc., a Diamond Certified company since 2010. He can be reached at (408) 827-8933 or by email. A resident of San Jose (where he lives with his fiancée, Sommer), Simon spends his time outside of work engaged in a variety of active pursuits. “Sommer and I are very active people, so we do a lot of fitness training, hiking, biking and kayaking,” he says. “We also like supporting independent local establishments like wine bars and restaurants.” When the opportunity arises, Simon and Sommer like to get away from it all by taking weekend trips to nearby destinations like Santa Cruz and Lake Tahoe. A: Opa! Authentic Greek Cuisine in Campbell. A: I played rugby and cricket. A: When I was five years old, my family lived in Spain, and I remember taking rides to the beach on our Vespa scooter. My parents would put my sister in between them while I crouched on the floor near the front—it was about as packed as you could get! A: I’m a big fan of the James Bond movies. A: That’s a tough one. I love Sean Connery, but I’m also a fan of Daniel Craig. CAMPBELL — Like any plant, trees require nutrients to grow and flourish. While trees typically derive nutrients from the soil, under certain circumstances they may not be able to get adequate nutrition, which can put them in a state of stress. This can occur when trees are situated near lawns or in areas of dense vegetation, where competition for water, nutrients and minerals is intensified. In cases of extreme nutrient deficiency, a good remedial measure is deep root fertilization. Deep root fertilization utilizes hydraulic injection to deliver nutrients directly into the soil at the tree’s root level. The nutrients are conveyed in the form of a liquefied solution, which makes it easier for the roots to absorb them. In addition to supplying nutrition to the tree, the hydraulic injection’s lateral spray aerates the soil, providing much-needed oxygen to the roots. Depending on the tree’s needs, deep root fertilization is typically applied one or two times annually. By providing both nutrition and oxygen, this supplementary measure can go a long way toward safeguarding the health of at-risk trees. CAMPBELL — Host, Sarah Rutan: When it comes to caring for the trees on your property, one healthful measure to consider is deep root fertilization. Today we’re in Campbell with Diamond Certified Expert Contributor Simon Tunnicliffe of West Valley Arborists to learn more. 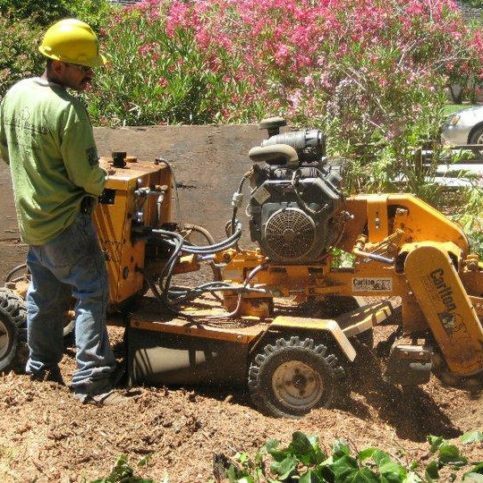 Diamond Certified Expert Contributor, Simon Tunnicliffe: One of the services that we offer here at West Valley Arborist is deep root fertilizing of trees. And the reason we do this is we like to replenish the trees with nutrients and minerals that are already in the soil. So, the way we do this is the hydraulic soil liquid injection method. And as you can see here, Michael’s basically pushing the probe down into the roots of the tree. We don’t want to go down any further than about 14 inches there. So, we reach all the fibrous, hairy feeding roots that will absorb the fertilizer that’s suspended in water. And what we do is we basically move around the tree in kind of a bicycle spoke pattern, moving the needle every 18 inches on center, and then reapplying. As you can see, he’s just pushing that down into the soil there. And then applying the pressure. And this is hydraulically introduced to the soil. It sprays laterally. So, it aerates the soil at the same time. The primary reason why we do this is because we need to replenish nutrients that aren’t always available to the tree. A lot of the times, especially in a lawn situation like this, you’ve got competition. The grass is competing for the nutrients, the minerals, the moisture. So, we’ve actually found some remarkable results by doing this application. And that’s something that we do either yearly or bi-yearly, all depending on the trees’ needs. And at the end of the day, it’s all about the tree. Diamond Certified RATINGS ON West Valley Arborists, Inc.
West Valley Arborists, Inc. : Average 9.2 out of 10 based on 275 unique customer surveys of customer satisfaction. Dependability, every time we have called them, they have come out and taken care of the job. They are good and professional. They were prompt and gave me a good price. The owner is very invested in making sure the customer is happy. If for some reason there is a miscommunication, or you are not happy with the work he is doing, he will do whatever it takes to make you happy. For me, and the amount of work I have, it's that he shows up on time. They were pretty explanatory in what they intended to do and followed through on it. If you expect a good job with tree removal of large trees, it is beyond the expectations that I envisioned. I liked their thoroughness, especially in terms of cleaning up after the job. They did it really quickly. I like that they are able to come out within a few days for the job. He was just very good, and as far as taking care of the customer and doing what he needed to do, he was perfect. The customer service he exhibited, he was professional, he followed up, and he took care of things afterward. He did exactly what I needed, and I appreciated that. They did what they said they were going to do in an orderly, quick fashion. They cleaned up after themselves and got it done. I can get good management and good efficient workers who get things done on my site the way I want them to. The price is right. They've always been good to me. I understand pruning, and I thought they did a good job on my trees. They were open to my questions and my ideas. They were very friendly, they did the job, and they were very neat. He is reputable, and he works with integrity. He works with integrity. He came on site, and he did more than what he committed to doing. When he left, the area was immaculate. 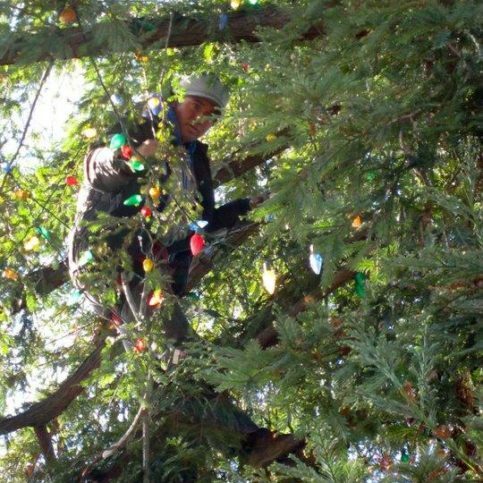 We are needing some more tree work, and he's at the top of our list. They are courteous. My wife and I love their service. They are fair about the prices, and they do great work. They were quick and got the job done. They took care of the job quickly. They were professional, and they got the job done. I had a tree that fell, and they took it away. I was pretty happy with the service.